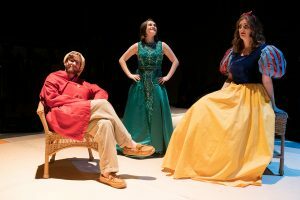 W&L Presents Anton Chekhov’s ‘The Cherry Orchard’ “The Cherry Orchard” is the final full play written by Anton Chekhov, who is considered by many to be the father of modern drama. 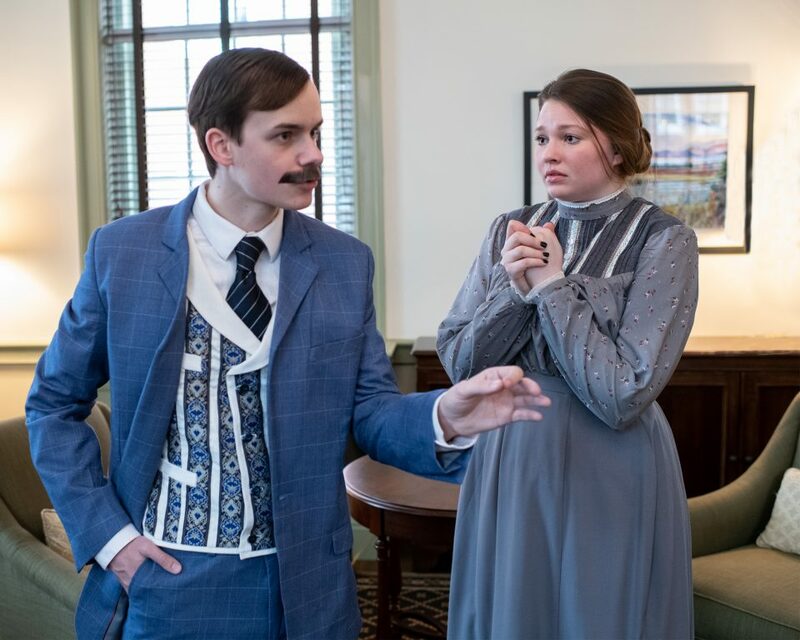 Varya (Grace Pelosky ’22) tries to hide her concerns while Lopakhin (Nick Mauer ’20) explains his plan to save the cherry orchard. Washington and Lee University presents “The Cherry Orchard” from March 12-17 in the Johnson Theatre on the W&L campus. Tickets are free and are required. “The Cherry Orchard” is the final full play written by Anton Chekhov, who is considered by many to be the father of modern drama. In turn-of-the-century Russia, on an early morning in May, Madame Ranevskaya (Charlotte Cook ’19) returns to her ancestral home, dragged back from her travels by her daughters, who are trying to care for her childhood home and its adjacent cherry orchard. Down-to-earth Varya (Grace Pelosky ’22) is at her wit’s end trying to hold together the estate and manage her own expectations, while younger daughter Anya (Lauren Hoaglund ’22) longs for something different. Despite everyone’s suggestions for how to save the house, Ranevskaya and her brother, Gayev (Colin Berger ’20), refuse to see reason. Amidst all of these anxieties, love blossoms. What will happen to the estate and the crazy cast of characters it supports? What will become of the family? Will any of them ever find love or happiness? Performances of “The Cherry Orchard” will take place March 12-14 at 7:30 p.m.; March 16 at 7:30 p.m.; and March 17 at 2 p.m. Tickets can be ordered online at wlu.edu/lenfest-center or by calling the Lenfest box office at 540-458-8000 for ticket information. Box office hours are Mon.–Fri., 9-11 a.m. and 1-3 p.m., and one hour before performance time. University Swipe is available.